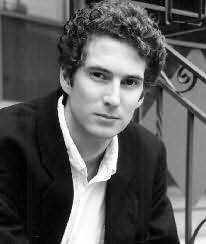 At age fifteen Kenneth Oppel wrote his first children's novel, Colin's Fantastic Video Adventure, and sent it to his favorite author, Roald Dahl. Dahl recommended the book to his own literary agent, and it was published in 1985. After graduating from high school Oppel attended the University of Toronto, where he studied English and cinema. He worked briefly as a children's book editor before deciding to write full-time. His books for children and young adults include Silverwing and Sunwing, both of which were named Book of the Year for Children by the Canadian Library Association. Oppel lives in Toronto with his wife, Philippa Sheppard, and their children, Sophia and Nathaniel. "Searing. Slade's descriptions of desert warfare will leave you gasping for air." "Dark, dangerous and utterly riveting."